For a college friend of mine I wanted to make a card with a gypsy or bohemian feel for her birthday. 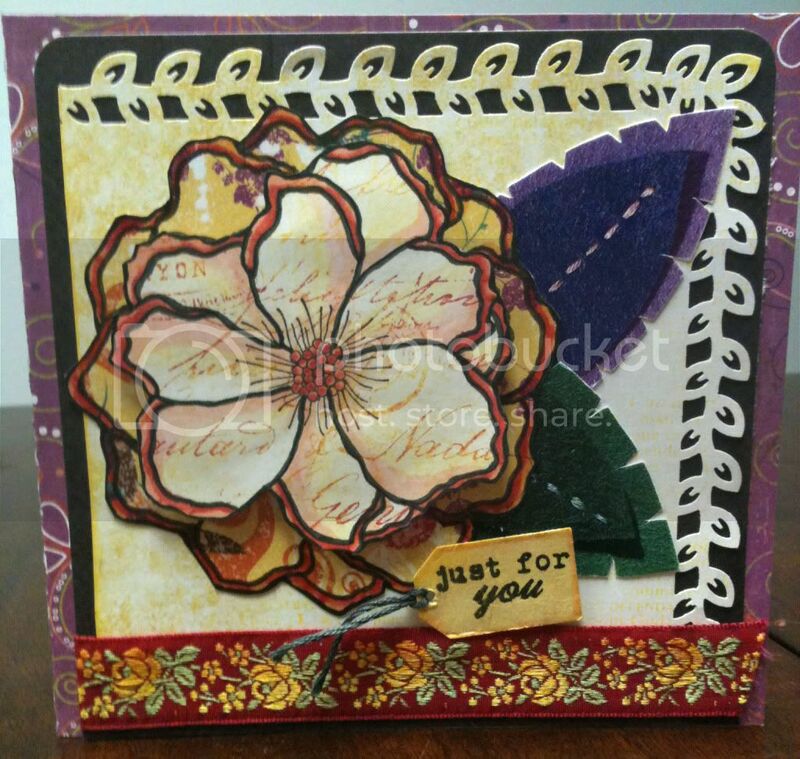 I was also taken with coloring and playing around with Hero Arts' Stencil Flower (CG194). I love this stamp and I keep on buying flowers similar to it so I can do paper piecing + coloring with them like I did for this card. 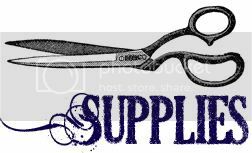 I usually cut up the flower into two parts for added interest and dimension. The top part of the flower I chose a more muted part of the paper and then I stamped over this section with the Old Letter (CG197) stamp using a mix of inks for variegated coloration. I edged the entire flower with marker to make it really pop and colored in parts with my Copic markers. The top layer of the card is then attached to the bottom using dimensional adhesive. The leaves are actually digital images of felt feathers from Kitschy Digitals (all of her designs can be found at http://www.jessicasprague.com/) that I printed out and cut out. 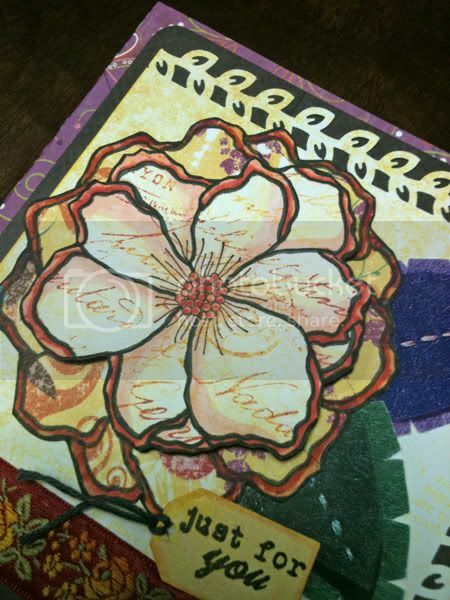 OMG--This stencil flower is one of my favorite stamps, and you have made it look gorgeous! It must be your coloring! 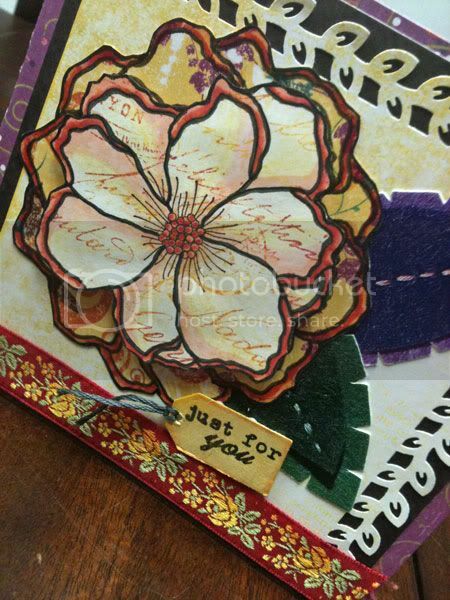 I love the look of this, and I am very jealous of your college friend who is getting this card!